STATE HOUSE – The House Judiciary Committee today will hear legislation proposed by Rep. Teresa Tanzi to make it easier for the public to track General Assembly activities online. The legislation (2011-H 5456) would require that all roll-call votes taken by the General Assembly or any of its committees on any bill, motion, amendment or resolution be posted online within 24 hours in a format that is searchable and has a link to the bill, if applicable. The legislation is scheduled for a hearing before the House Judiciary Committee today at the rise of the House session (around 4:30 p.m.) in Room 205 on the second floor of the State House. Under changes spearheaded by House Speaker Gordon D. Fox and Senate President M. Teresa Paiva-Weed, earlier this year the General Assembly began posting on its Web site all floor votes taken each day, and is in the process of putting committee votes online. Representative Tanzi said she believes those actions are excellent first steps, and her legislation would take the process further by making those votes easily searchable by legislator, bill number and topic, and including a link to the text of each bill. “My goal is to make information we post online about votes more functional and user-friendly by providing the tools for citizens to find the votes they want. 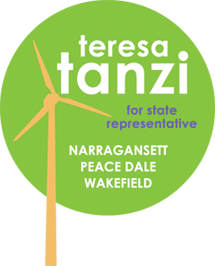 The General Assembly has made great strides in openness this year, and my legislation would take us to the next level so ordinary citizens can easily find the votes on the bills that interest them, without having to comb through journals or watch the session religiously on television,” said Representative Tanzi, a Democrat who represents District 34 in South Kingstown and Narragansett. “In an age when we can get scores from sporting events texted to our phones in real time, our General Assembly has to be brought up to speed to reflect the public’s expectation of timely information on governance issues. Accountability begins with transparency,” she added. Representative Tanzi acknowledged that there would be some cost to the bill, since technology would have to be set up to create a search function. But regardless of whether that cost is an obstacle this year, she said she believes the General Assembly should be considering the merits of providing citizens with better access to its voting records, which are public information. The bill has the support of Common Cause. “Common Cause is grateful to Representative Tanzi for introducing H 5456, which will require the posting of floor votes and committee votes online. In the last several months we have seen great leadership from the House of Representatives on this issue, with the floor votes now being put on the General Assembly Web site. This bill continues that movement toward greater transparency by setting standards for presentation of the votes as they appear on the Web site,” said John Marion, Executive Director of Common Cause Rhode Island.